For millions of people who get their water from a local well, a pump that won't shut off is more than an inconvenience; it's a potentially big repair bill waiting to be paid. A constantly running pump can be caused by dozens of problems, ranging from the well to the plumbing in the house. You can save time and money by narrowing down the problem through a process of elimination. Water wells have become considerably more complex with the addition of electrical motors. 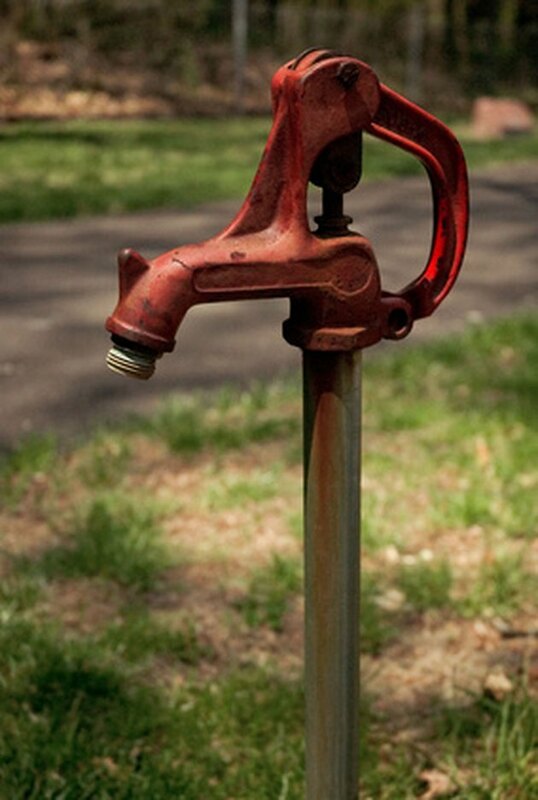 Shut off the power to the well pump as soon as you notice the problem. A water well that runs without stopping will burn itself out, and you'll be looking at a repair bill of several hundred dollars for a replacement. Check your pressure control switch. Try lowering the cut-off amount. This is usually done by rotating the nut on the larger spring inside the switch in a counterclockwise direction. Be sure you've turned off power to the switch before trying to adjust it. Look for clogged tubing or burned contacts in the switch. This can affect pressure sensors that control the pump. Tubing can generally be cleared by blowing through it. Burned contacts will usually mean you need a new switch. Consider whether you need a smaller well pump. Extended droughts or suddenly fractured rock formations can lower the water table, and an oversize pump will continue to run. A well that's lost significant amounts of water can sometimes be diagnosed by air coming out of faucets when the water runs.